Walking through the streets of the quaint fishing village Marzamemi you can see the small and characteristic houses of the fishermen which border the main square. They were renovated during the construction of the Palazzo of the Prince of Villadorata. The most characteristic one is the 'home of the oven', named after the large brick oven inside, where the bread for all inhabitants of Marzamemi was produced. Even if these small houses are no longer inhabitet they have not lost their charm. The nearby beach of Pachino boasts white sand and a turquoise coloured sea. During the summer it becomes quite crowded with tourists from all over the world. 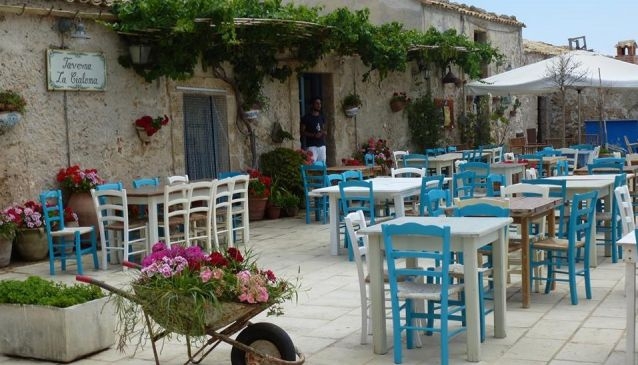 Marzamemi is a little gem in the south of Sicily, great for a day out at the beach, a stroll through the village after visiting the nature reserve Vendicari and having a quick bite and a drink at Cafe & Shop Liccamùciula.